A teacher’s day doesn’t end just because the bell rang. You often take your work home to get a jump on grading or planning for tomorrow’s — or next week’s — lessons. 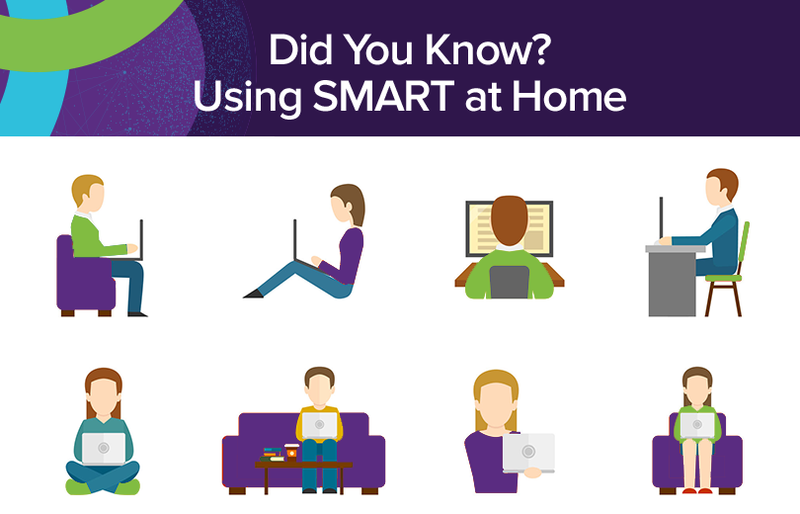 If you use SMART Learning Suite on your laptop or desktop at school, or on a SMART Board® in the classroom, you may not know that you can also use the software at home. If you have an active subscription to SMART Learning Suite, it’s possible to use SMART Notebook software on both your classroom computer and on your computer at home. You start by downloading SMART Notebook onto your home computer. You’ll be able to activate the full version at home using the same method you used to activate SMART Notebook in your classroom — via your SMART account email or by product key. (Click here to learn exactly how to do this). Once you have access, you’ll be able to use the software exactly as you would at school. Easily create and deliver lessons, activities and formative assessments at home or wherever you find yourself. SMART Learning Suite Online is accessible anywhere, including at home, from any device that can access the internet. SLS Online and SMART Notebook are designed to work together, and they’re available through your subscription to SMART Learning Suite. It’s easy to import existing content (including Notebook, PDF and Power Point files) into SLS Online, and enhance it. You can add collaborative activities, formative assessments and annotations to the content while at home to prepare for tomorrow’s lesson. When you get to class the next day, use SLS Online to deliver your enhanced lesson and have your students use their devices to follow along at their own pace, engage, and collaborate, as it suits your lesson. If you’ve created a collaborative workspace activity in SLS Online for your students to use for group projects, you can log in at home to check their progress and add feedback. (Hint: students can also access collaborative workspaces outside of the classroom! Learn more about that here).